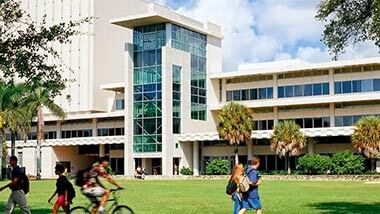 The University of Miami subscribes to over 700 online databases. From the list of 700, over 100 databases are dedicated to the subject discipline of business. Click the link above to access all the business databases. Remote access to the University of Miami's online database is possible from anywhere in the world as long as you have internet access. Once you have selected a library research database, you will be prompted for your CaneID name and password. This process is necessary to authenticate your enrollment status at UM. NOTE: If you have a firewall on your computer, please bring down the firewall. All the library research databases contain encrypted data and this will not pass through a firewall. Welcome to the Research Guide for the BUS300 - Critical Thinking & Persuasion for Business course. This guide provides you with recommended library resources for your research project. If you have a research question, which these guides do not address please contact the Business Library at 305-284-6516. Mon - Thurs. 7:30 a.m. to 7:00 p.m.
Mon - Fri. 9:30 a.m. to 4:00 p.m.
U.S. and international company filings. Excel downloads are available. Excel downloads are available through these resources.